Walk around on the streets of New York City long enough, and you may come across photographer Louis Mendes. He has shoot street photos in the city for over 50 years, and he’s easily recognized by his vintage camera and outfits. The New York Post made the inspiring 3-minute video above about Mendes’ life and work. Mendes uses a 1940s Speed Graphic press camera and wears clothing that “compliments the camera.” And even as photography has transitioned into the digital realm, Mendes has stayed true to his lifelong love of film, particularly peel-apart instant film such as Fujifilm’s FP-100C (which, unfortunately, was discontinued in 2016). Like many other famous street photographers, Mendes can be found outside shooting nearly every single day. Most of his photos are sold to his subjects, so Mendes hasn’t built up a gigantic archive of personal photos like other photographers. Photographer Louis Mendes. Photo by Chiefwiki and licensed under CC BY-SA 4.0. One of the challenges Mendes will increasingly face is the increased scarcity and cost of film as more and more lines are discontinued — to survive, perhaps Mendes could switch to Fuji Instax film, which is a huge profit-driver and isn’t likely to go anywhere anytime soon. “To think about not being able to shoot any more film, it’s like going to bed and not waking up,” Mendes says in the video above. “Why do I take pictures every day? It’s like why do I breathe every day? Nearly 10 years ago, photography enthusiast Andrew Lumish visited an old cemetery in Tampa, Florida, to shoot photos of historic graves. He was struck by how derelict some of the veterans’ forgotten headstones were… so he decided to do something about it. Lumish put down his camera and began visiting cemeteries on most Sundays, his days off, to carefully restore the abandoned headstones that have been blackened by decades of weather, mold, moss, and mildew. He has spent countless hours scrubbing the headstones — some take several minutes while others take upwards of a few hours — getting them back to nearly original condition. Once illegible headstones now proudly honor the veterans buried beneath again. By day, Lumish owns an upholstery and carpet cleaning franchise, so he knows a thing or two about cleaning. But he had to do some research to learn the best way to clean aging headstones, and he came upon D/2 Biological Solution, which the US government approves for cleaning national cemeteries. Lumish shoots photos of the headstones before and after restoring them, posting the photos afterward to his project’s Facebook page. If you’re interested in supporting this effort, you can donate to The Good Cemeterian Historical Preservation Project on its official website. We’ve been receiving a lot of information lately about Canon’s upcoming full frame mirrorless camera, the following information is apparently about one of the prototype camera bodies currently being tested. The mount type remains the big omission from the information we continue to receive. Huawei’s latest headset, the P20 Pro smartphone, is turning heads for more reasons than just its design. The P20 Pro is capable of taking pictures in near dark conditions without the use of a flash according to a BBC report. It does this by taking an exposure of six seconds to get the maximum amount of light into each shot, among other things. Using what it captures, the phone then employs sophisticated AI to sharpen the image and produce something is clear. Normally when photos are taken this way the image can be blurry. Huawei has bold dreams for its phones and brand. The company hopes to become the world’s leading brand of smartphone but recent setbacks in the United States have made that dream more difficult to achieve. Currently behind Apple and Samsung, Huawei’s beautifully designed phones are no longer being sold by wireless carriers in the United States, one of the world’s largest markets for smartphones. Huawei is really banking on the P20 Pro’s camera capabilities in its marketing, aiming for a similar status as Samsung’s Galaxy S9 product line. The P20 Pro features three lenses that each do something different with the main sensor having a 40 megapixel resolution. There’s also a 20 MP black and white sensor for monochromatic pictures and to provide depth information. The lastis a 8 MP telephoto hardware-stabilized 3x zoom lens that is capable of 5x zoom when using software-based digital zoom. The P20 also sports object-recognition technology to auto adjust settings. Canalys consultant Ben Stanton praised Huawei for attempting to get ahead of the competition in terms of features and hardware but noted that it was difficult to tell the quality of the various photos apart when viewing them side by side, noting that Huawei has a steep hill to climb to overtake Apple and Samsung. The good news for photographers is that smartphone cameras are getting increasingly powerful to such a level that there is near parity among competing headsets, giving consumers an array of options to consider outside of camera performance. The new P20 Pro is expected to retail for $USD 1,115, less than both the Apple iPhone X and the Samsung Galaxy S9. The post Huawei’s New P20 Pro Smartphone Comes Equipped with Night Vision appeared first on Light Stalking. 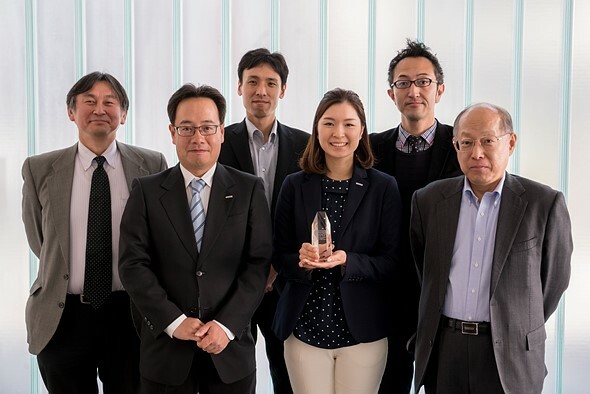 From L-R, Hidenari Nishikawa, Asistant Chief, Merchandising Group, Kohei Fukugawa, Supervisor, Software Design Group, Tetsuji Kamio, Staff Engineer, Image ENgineering Group, Emi Fujiwara, PR / Communication Group, Naoki Tanizawa, Manager, Communication Group, Michiharu Uematsu, Advisor, Merchandising Group. Recently we visited the 2018 CP+ show in Yokohama, Japan and booked an in-depth interview with Panasonic. Among the topics covered were the company's new twin flagships, the Lumix GH5S and G9, as well as how Panasonic hopes to grow their appeal to professional and advanced amateur stills photographers. Why did you feel that the GH5S was necessary, when the updated GH5 is in many ways so competitive? 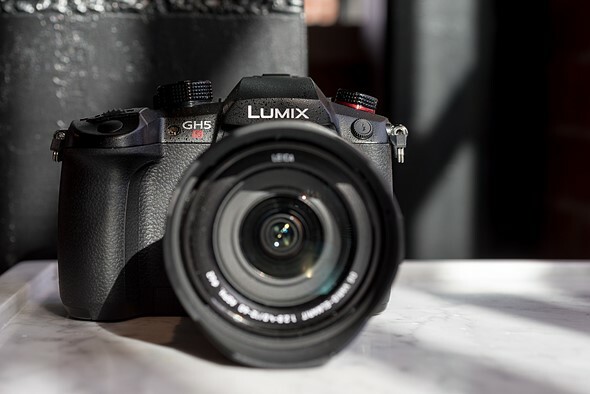 The Panasonic Lumix GH5S comes with an oversized 10MP sensor that forgoes a stabilizer, but allows for shooting in multiple aspect ratios without cropping the field of view. For the GH5, we aimed for hybrid users shooting both photos and video. We thought that we needed 20MP for stills, and that was kind of a compromise for video users. With the GH5S, we had a lot of video users who wanted more video capability, but with the conventional [20MP] sensor, it was quite difficult to shoot in low light situations because of [hardware and software] limitations. So we developed a video-centric camera to open up more freedom for video users by having a 10MP sensor, which is good for low light. Also, we incorporated multi-aspect ratios, which many people prefer to have. For example, professional shooters will prefer a multi-aspect sensor versus IBIS. Is there a technical reason why the G9 and GH5-series continue to rely on contrast-detect autofocus with depth-from defocus technology in preference to a hybrid/PDAF system? 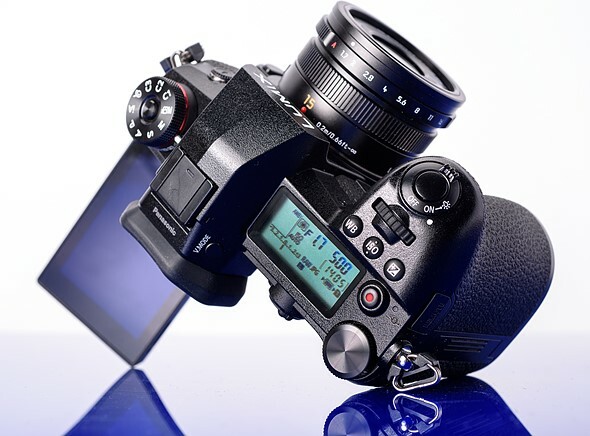 The speed-and-stills oriented Lumix G9 can shoot at up to 20fps bursts in Raw, and is the first Micro Four Thirds camera to come with a top-plate LCD. When we were developing the GH4, we were discussing whether to go with phase detection AF, or hybrid AF system of contrast AF with our own DFD (depth-from- defocus) technology. We thought that by having contrast AF with DFD, we could maximize picture quality. This is because with phase detection AF, picture quality can be damaged [by the phase detect pixels]. With contrast-detection AF and DFD technology, we don’t need any dedicated pixels [for autofocus] and we believe it is more precise. With the release of the G9, since it’s so sports and speed-focused, is this an ongoing conversation, or are you committed to going forward with DFD? After we put DFD and contrast AF into GH4, we’ve been continuing to develop this format. At this point, we’re not thinking about shifting, but rather trying to make it better and better. We do see room for improvement; we’re studying to improve the algorithms in DFD to minimize the range of hunting, or AF ‘flutter,’ required for accuracy. Do you think there’s an opportunity for Panasonic to develop more fixed-lens large-sensor compacts? Panasonic's LX100 incorporated a large Four Thirds type sensor and fast zoom lens. It remains a very capable camera, but in some ways – particularly its 12MP of resolution – it's looking a little dated. Yes, we have lots of requests from editors and users waiting for the next LX100, so we are studying that. At this point, we can’t say when, but it is something that people are expecting. As we head into 2018 and 2019, how will Panasonic send the message that it wants to be taken seriously by stills, as well as video professionals? When we developed the GH5, a lot of video users were attracted to it, but we were aiming for stills users as well. In developing the G9, we wanted to communicate to customers that we are also capable of creating a more stills-focused camera; in terms of marketing, we are trying to communicate that we have cameras that are focused on stills, video, or a hybrid of both. 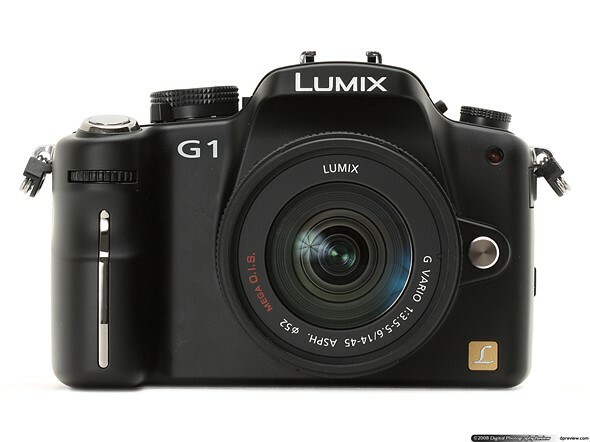 It's been ten years since Panasonic introduced the Lumix G1, the first Micro Four Thirds interchangeable lens camera. Our business philosophy is based on ‘changing photography.’ And any change we make must be a benefit for the customer, and for the last two or three years, we’ve really focused on our video capabilities. But we still want to satisfy stills-focused users with our philosophy. 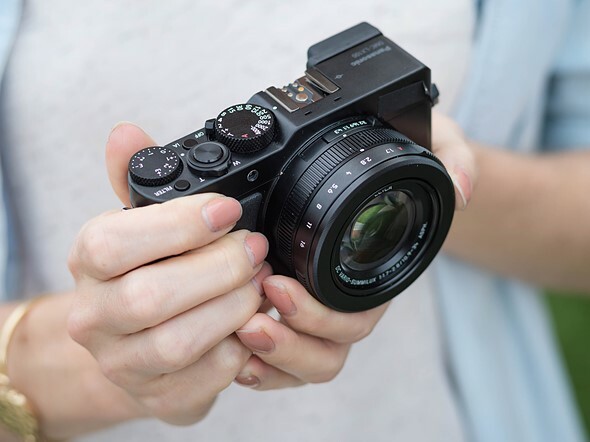 It’s been ten years since we introduced the first mirrorless camera, and many things have changed in the mirrorless industry in terms of innovation, but we are trying to continue to change the market to satisfy our customers. We are going to continue to develop video features, but we also want to improve stills performance in terms of speed and autofocus. We don’t want to just pick one feature and improve it; we want to improve more generally, and we are trying to re-brand somewhat in the stills category. And we want to do this not only for professional cameras, but entry-level and midrange cameras as well. Always an influential and respected brand in professional video circles, Panasonic deserves a lot credit in recent years for introducing high-quality video capture into small cameras with a conventional form-factor. In fact it's arguable that without cameras like the Lumix GH-series laying the foundation, the prosumer hybrid ILC class would look very different today – if it existed at all. It's clear from speaking to Panasonic's executives that the GH5S was designed as a no-compromises video platform. That's the reason for its low pixel count, and why the company opted to include a multi-aspect sensor in preference to in-body stabilization. I happened to be speaking to a professional filmmaker recently who told me that the GH5S is at least on a par, if not superior in some respects to his usual Arri Alexa cameras, and that's a pretty big deal for such a small camera. One of the reasons he said he likes the GH5S so much is that he can use the camera in tight spots – and in lightweight rigs – that he wouldn't normally be able to. The market for stills cameras is pretty tough right now, and Panasonic could be forgiven for continuing to focus on video, but it seems that the company still sees some opportunity in the stills-dedicated market segment. The hint at 're-branding' in the stills market is intriguing, and could suggest that the high-performance G9 is just the beginning of Panasonic's renewed attempt to capture the hearts – and cash – of working stills photographers. The explanation for Panasonic's continued use of DFD contrast-detection autofocus technology in preference to phase-detection was interesting. It's true that PDAF-equipped ILCs can have issues with so-called 'striping' artifacts in images taken in certain conditions, but whether this is a solvable problem remains to be seen. For now, Panasonic clearly believes that DFD works well enough, and appears committed to continued improvement of the system. 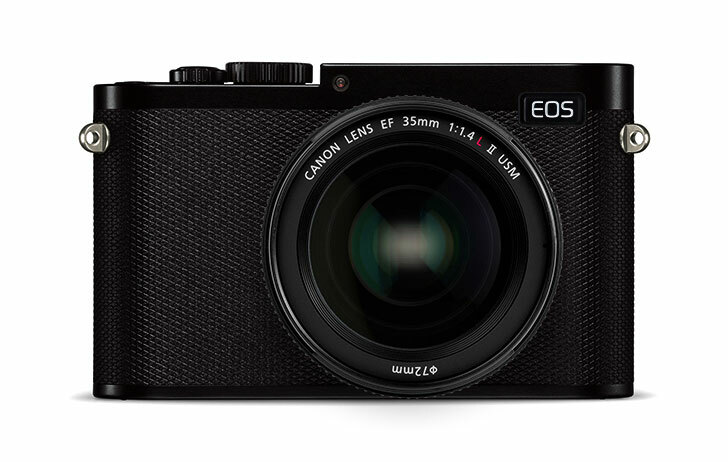 We were excited too to hear that a successor to the LX100 is probably on the way. It's still one of our favorite large-sensor compacts, and we'd love to see some proper competition in a segment increasingly dominated by Sony. It may soon be time to say goodbye to another popular film among analog photographers. A new report is saying that Fujifilm’s Neopan 100 Acros will be discontinued in October of this year. Casual Photophile reports that the news comes from translations of documents that were distributed to film dealers in Japan. Fujifilm has been slowly winding down a number of its film lines (and branded film emulsions such as Agfa Vista) in recent years while its Instax film has been booming. The discontinuation of 4×5 Acros 100 was announced in late 2017 and will take place in May 2018, and now it seems that the 35mm and 120 versions of the same film will be meeting the same fate, putting an end to the Acros line completely. Fujifilm Neopan 100 Acros is a professional ortho-panchromatic (i.e. reduced red sensitivity while being sensitive to all wavelengths of visible light) black-and-white film that’s praised for its sharpness and grain. Due to its popularity, the apparent imminent demise of Acros will be a heavy blow to film photographers. If Acros is among your favorite film stocks, now might be a good time to start stocking up. If you’re not sure how to photograph a landscape, one primary factor you should consider is the current position of the sun in the sky. Here’s a fantastic 3.5-minute video by CreativeLive in which National Geographic photographer Frans Lanting shares tips on harnessing different kinds of sunlight. Indirect light: For example, when the scene is illuminated through fog or during “magic light,” immediately before or after sunrise and sunset, respectively. Front light: When the sun is behind you, the photographer, the light helps to emphasize the colors in a scene. Side (or cross) light: When the sun is at a 90-degree angle to the side, it helps to reveal the textures in a scene. Back light: When the sun is shining directly at you from within the scene, it helps to simplify the scene, create silhouettes, and emphasize shapes. Lanting often steps through these different types of lighting as the sun makes its way across the sky over the course of a day, allowing the sun’s position to dictate how he chooses to capture the landscape. Different times of day give you different light and of course, it’s something to count on when photographing outdoors. In this video from CreativeLive, photographer Frans Lanting shares some tips to remember when you go out shooting landscapes. They will help you get great photos at any time of day, no matter the position of the sun. Frans points out to different kinds of light to be aware of and gives you examples how to shoot in these lighting conditions. The first kind of indirect light is when the fog acts as a layer that scatters the sunlight, so there is not a lot of contrast. Another kind of such light happens right before sunrise and right after sunset, which many photographers call “the magic light.” This is when all those gorgeous colors from the sky get reflected onto the surface you’re photographing. When the sun hits the scene, you have direct light. Frans emphasizes that, in this situation, it’s important to be aware of the sun’s position, or where it hits the subject relative to where you are. Front light: when the sun is behind you, you’ve got front light. Frans suggests using this kind of light when you want to emphasize colors. Sidelight: when the sun hits the subject at a 90-degree angle, it emphasizes texture. If you’re photographing interesting, textured surfaces, it’s best to shoot them in this kind of light. Backlight: when the sun is in front of you, you can emphasize shape. Shooting straight into the sun gives you simplified scenes with silhouettes. Frans also emphasizes that it’s important to be aware of the sun’s position throughout the day. Very early in the morning, he tends to look for the front light. As the sun rises up in the sky, he starts looking for sidelight. When the sun is high up, he starts shooting in backlight. Keep these tips in the back of your head, so you will decide more easily how to approach shooting in any lighting conditions, even if it seems challenging.